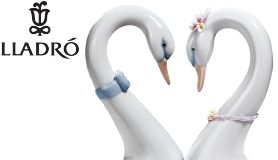 Each item created by Wedgwood is of the highest quality. As a result they are sure to be treasured year after year. 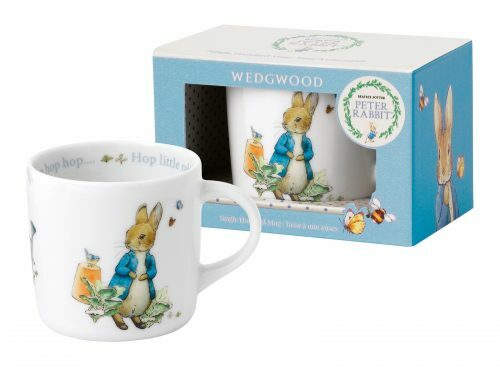 Designed by Wedgwood in Stoke-on-Trent, England. Each exquisite item has a feel of style and luxury, perfect for yourself but even better as a gift. 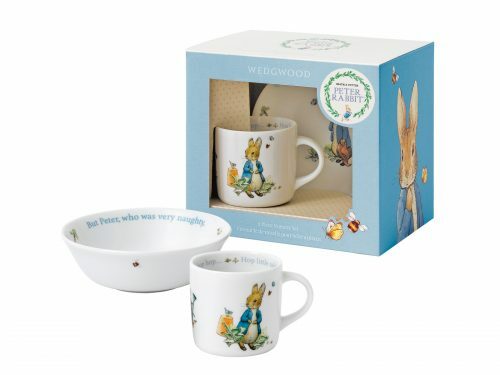 Our Wedgwood Collection consists of their adorable Peter Rabbit Series. 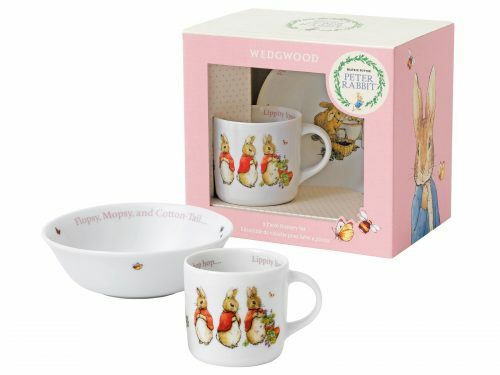 Which features Mugs, sets and a cups. 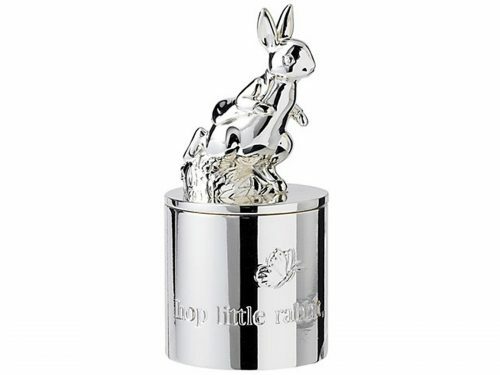 With the prize star being a First Tooth container, making your child’s milestone even more special.